The ashes season is back again. It’s been over two years now when this famous rivalry had their last encounter on the English soil. The Aussies were thrashed 3-1 in what turned out to be a one-sided affair towards the latter half of the series. Australian batters struggled against the English bowlers on seaming wickets and they bundled out for low scores leaving the Oz bowlers an uphill task. England has been rocked back by some big blows even before the series has begun. Their injury scares list includes the likes of Jake Ball, Moeen Ali, Steven Finn, Toby Roland Jones and Mark Wood. Amidst all this, their super all-rounder Ben Stokes’ participation in the Series is still unclear and highly unlikely. He is currently unavailable due to him being involved in a police investigation for being a part in a fracas outside a Bristol nightclub in September this year. He was not picked up for the Ashes series after he was arrested for the same. England and Wales Cricket Board had stated that they will take a decision on Stokes only after the police investigation has concluded. Stokes’ absence would mean that England will lose their reliable number 6 and a strike bowler in this chaos. He was part of the England squad which visited Australia for the 2013-14 Ashes series but lost 5-0. He was one of the top performers for England in that series scoring 279 runs at 34.87 and taking 15 wickets. On the other hand, Australians are looking a little better despite having a tough year on the international circuit. The fast-paced tracks will obviously suit their players. Four years ago, Mitchell Johnson produced a performance of a lifetime and stormed through the English defense with his vicious pace. His bouncers had the barmy army on a run. Australia would be hoping for a similar show from their pace battery. They have a left-arm in their ranks who can bowl as quick as Johnson but he is more known for his fuller pitched deliveries rather than the half pitched ones. Starc has been out of international action for a while but his performance in the Sheffield Shield trophy has left no doubts that he is more than ready to go. Pat Cummins’ form has been great off late. His consistent performances in the Indian Tour earlier this year meant that he has finally arrived at the international scene. Hazelwood would have to do a steady job and hold one end for the others to attack. Batting wise, the English line up looks stronger. In Joe Root, they have the best number four going around in the Test cricket. Cook, Bairstow, Moeen Ali and Ben Stokes, all have proved their mantle at the test level. But the availability of some of these stars is still under question. 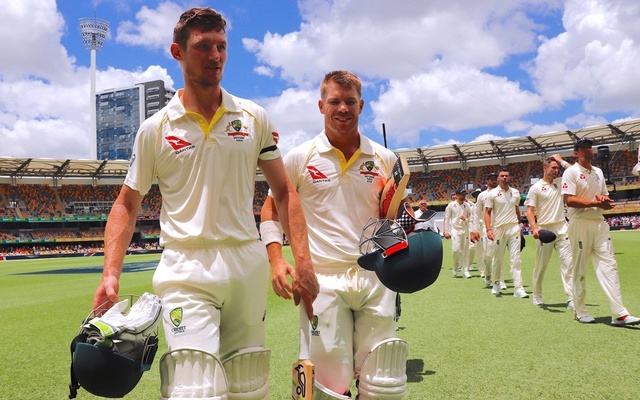 Australian batting, however, depends heavily on two individuals; David Warner and Steven Smith. They will have most of the responsibility and there is no doubt that Anderson- Broad Co will be looking to attack their weaknesses and dismiss them early. Under a little bit of help from the pitch or atmospheric conditions, this experienced duo can put any batsman’s technique under rigorous testing. You want quality contests and not the one-sided dead rubbers. The last 3 ashes series have gone to hosts’ and that too in a very one-sided way. The first Test starts from 23rd of Nov. It will be interesting to find out with what eleven both teams are going to go in with. Expectations are high for a mouth-watering contest down under. What new chapters will be added to this rivalry, we are going to get to know it soon enough.